It was a successful Take Your Child To Work Day in Oklahoma City! 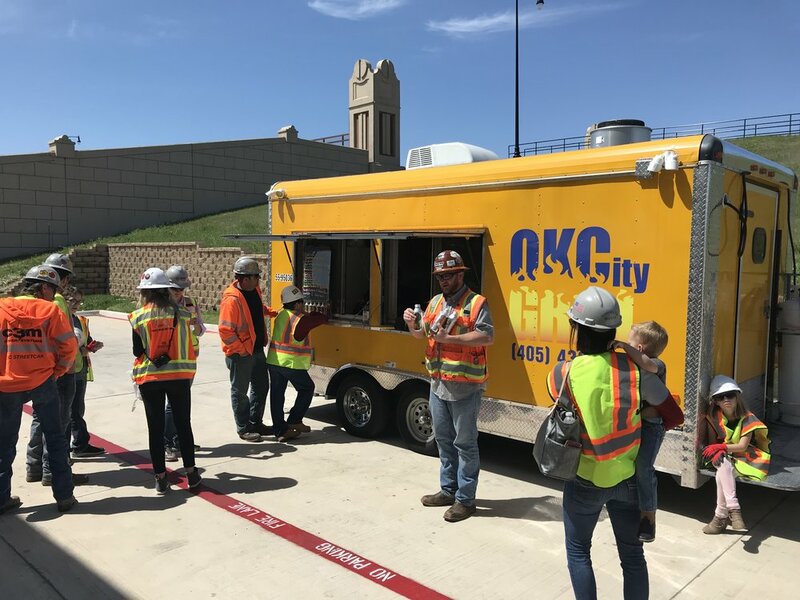 We teamed up with our partners on the OKC Streetcar project, Oklahoma Electrical Supply Co., Herzog Contracting, and Stacy and Witbeck for this fun family event. Everyone in attendance was invited to check out a streetcar, operate a track switch machine at the maintenance facility, and receive an educational lesson from Professor Dave Schaeffer on the overhead contact and traction power systems including the equipment we use to complete our work. A great time was had by all! View The Oklahoma City Streetcar Project. Professor Dave explains how C3M uses vehicles like this one to install overhead contact systems (OCS). Future railroaders operate a track switch in the OKC Streetcar's maintenance facility. Lunch courtesy of a local food truck.